I first started practising yoga in 2013 in an attempt to try to regain some of the mobility I lost due to having a hip reconstruction as a child. 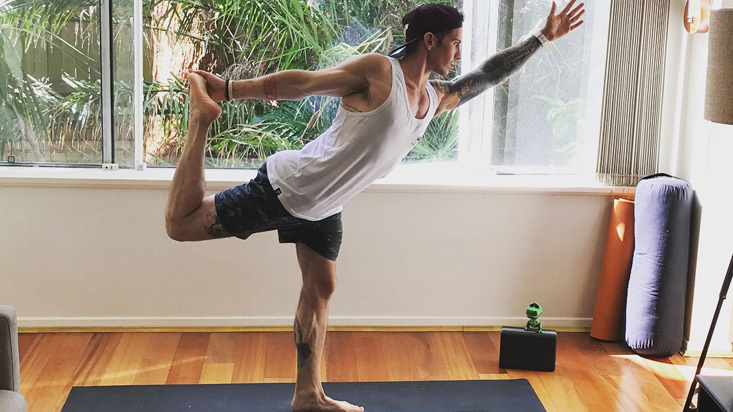 I immediately feel in love with yoga & after several years of practise I completed my 200hr training at the Manly studio. Overcoming the limiting beliefs I had around what I could or couldn’t achieve in my practise has been profoundly life changing & I want to help others with similar mobility restrictions achieve this in their lives. Koundinyasana b – there’s just something so freeing in that moment when your feet leave the earth. Plus it’s super hard so it always get’s me out of my head! Authenticity & Compassion – I know it said one but I couldn’t pick between the two! My paternal grandfather – I have a huge amount of admiration for my Dad, he’s the standard I hold myself up to. His father died when my Dad was only 16 so I never had the chance to meet him. I’d love the opportunity to meet the man who helped shape my father.